. . . so this week the challenge is "FEET" . . . which some may say is difficult . . . but I thought so easy because I take photos of my children's hands and feet all.the.time . . . simply because I NEVER WANT TO FORGET!!! 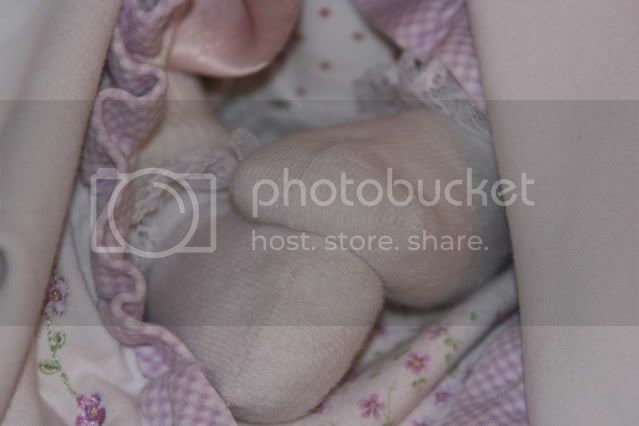 The feet above are from newborn baby girl. She was colic and used to NOT cry while sitting in her carrier, AS long as I walked around the house carrying her in it! Which I gladly did! I stopped a moment to snap off a photo of those precious little feet peeking out from her blankets. I remember this moment so clearly in my head . . . and I hope that I always do! Summer Homework? Yea or Nay?